The article will be updated to reflect current realities - Updated 31 December 2017. 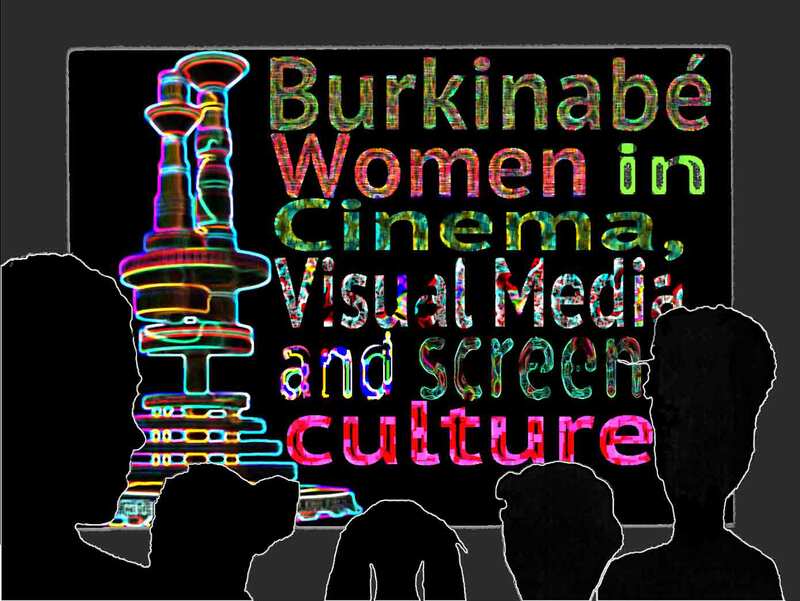 From the very beginning of the history of cinema in Burkina Faso, women have played a prominent role. Ouagadougou, Burkina Faso, home to the legendary FESPACO, the biennial pan-African film festival, is also known as the capital of African cinema. Burkina Faso’s commitment to the promotion of African cinema spans fifty years with the creation of the festival in 1969, and is reflected among the highest levels of government. The country’s president bestows the Etalon de Yennenga, the grand prize of the festival to the winner. General Secretaries of the Festival have gone on to hold other important posts in the government. Two women were among the organizers of the first festival: Alimata Salembéré, a director of the RTV (Radiodiffusion Télévision Voltaïque) at the time, was president of the organizing committee; while Odette Sangho, a representative of the CCFV (Comité d’Animation du Centre Culturel Franco Voltaïque), was a member of the program committee. Women continued to be visible in the subsequent Organising Committees, notably Simone Aïssé Mensah who took over the presidency for the second FESPACO and continued in this position through the fourth. The Festival is directed under the Secretary General, a post that Alimata Salembéré held from 1982 to 1984, thus overseeing the 8th FESPACO in 1983. Also located in Ouagadougou, are the Cinémathèque africaine, an infrastructure for the conservation of African films as well as a location for research and study, and the MICA (International African Film Market), whose current president is Suzanne Kourouma. In addition, Ouagadougou was the location of the Institut Africain d'Education Cinématographique (INAFEC), the historic film school at the Université de Ouagadougou where some two hundred students throughout the continent were trained between 1976 and 1987. The core curriculum at INAFEC was multifaceted with a focus on areas such as radio, television, print journalism, scriptwriting, editing, and film production. The curriculum required that the students first learn scriptwriting and editing, and then work with an assistant director before learning to direct. After completing the core curriculum, there was the choice between two divisions, one for those who specialized in cinema; and the other for those who specialized in communication. 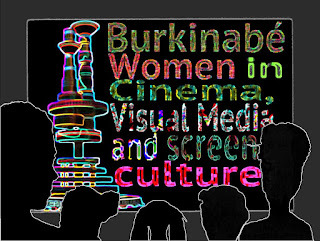 Many of the first generation of Burkinabé women in cinema were trained at INAFEC: Aminata Arby Boly, Valérie Kaboré, Marie Jeanne Kanyala, Suzanne Kourouma-Sanou, Adjaratou Lompo-Dadjoari, Fanta Régina Nacro, Aminata Ouedraogo and Téné Traoré. They currently work in some aspect of cinema, such as filmmaker, film editor, scriptwriter, film critic, film distributor, film producer and film organizer. Women who have made equally important contributions have trained in other programs in Burkina Faso, Europe as well as the United States: Laurentine Bayala, Chloe Aicha Boro, Marie Danielle Bougaïre-Zangreyanogho, Sarah Bouyain, Theresa Traoré Dahlberg, Claire Diao, Aminata Diallo-Glez, Benjamine Douamba, Henriette Ilboudo, Martine Condé Ilboudo, Sophie Kaboré, Benjamine Nama, Franceline Oubda, Adjaratou Ouedraogo, Aissata Ouarma, Danièle Roy, Kadidia Sanogo, Diane Sanou, Cilia Sawadogo, Apolline Traoré, Aminata Yaméogo and Florentine Yaméogo. “You have seen that in a conscious or unconscious way, the image of Princess Yennenga is the grand prize of FESPACO, which is very significant. It demonstrates the importance of women in society. And I think to have this prize is a crowning achievement. And we women must fight so that women will achieve this. Sarraounia, the legendary Azna queen, was the subject of the 1986 film by Mauritanian Med Hondo. The film by the same name, recounts the African resistance to the French invasion Niger, led by Queen Sarraounia. Burkinabé Ai Keita, who made her debut in the role of Sarraounia notes the tremendous support that the country gives to filmmaking efforts (the film was co-produced with Burkina Faso). Even though this was her debut role, she became wildly popular after it won the Etalon de Yennenga. Similarly, Amssatou Maïga, also a first time actress in her role as the adult Pognéré, became a household name after Buud Yam, a sequel to Wend Kuuni also by Gaston Kaboré, won the Etalon de Yennenga. Beyond the interest in actors based on star appeal, there is appreciation for the contribution that the actors actually make. The 2003 FESPACO celebrated African actors and actresses under the title: The role of the actor in the creation and promotion of African cinema. Nonetheless, African actors and more specifically actresses have had to push for representation in the form of an actors guild. Towards this effort, actress Georgette Paré created the association, Casting Sud, to promote and support the interest of African actors. An entire generation of Burkinabé has been raised in a cinema culture thanks to the country’s expansive role in cinema. Thus it is not surprising that women have played an important part from the start and continue to have the support and encouragement to enter into the diverse areas of cinema and to succeed. In a 2009 interview with Claire Diao, Aminata Ouedraogo attributes this high visibility of women to the initiatives of INAFEC. With its multi-faceted curriculum, graduates were prepared to work in diverse areas of audiovisual production. This practice is evident in the experiences of many of its alumnae. During her professional career Aminata Ouedraogo has made several films and now devotes her time to the pan-African organization for African women film professionals created at FESPACO in 1991. Adjaratou Lompo-Dadjoari who has held senior positions at the National Television of Burkina, made a documentary in 2015 entitled, Les Amazones du cinéma Africain | The Amazons of African cinema about the rise of women professionals in the diverse areas of African. In addition to her filmmaking duties, Valerie Kaboré divides her time to research in communication and development and as director of Media 2000, a film production company based in Ouagadougou. Fanta Nacro who has attained international prominence, is an advocate for the empowerment of women in cinema, which is reflected in her relationship to women professionals in front of and behind the camera in all phases of the filmmaking process. Though the school no longer exists, it has set in place a cadre of women (as well as men) thus forging a tradition for future generations to continue in its footsteps. Patrick G. Ilboudo. Le FESPACO 1969-1989: Les Cinéastes africains et leurs oeuvres. Editions La Mante, 1988. Hamidou Ouedraogo. Naissance et evolution du FESPACO de 1969 à 1973: Les Palmares de 1976 à 1993. Burkina Faso, 1995. Éléonore Yameogo parle au sujet de son film "Paris mon paradis"
Éléonore Yameogo talks about her film "Paris My Paradise"